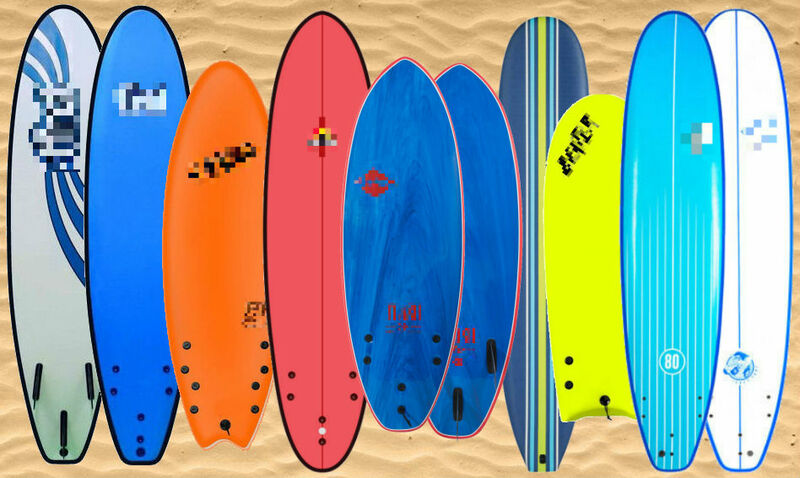 Soft Surfboard Prices - What are you paying for? If you are considering purchasing a Soft Surfboard or Softboard there are a few important things you should know before buying. With such a difference in price between the soft surfboard offerings around– what really is the difference in what you are paying for? 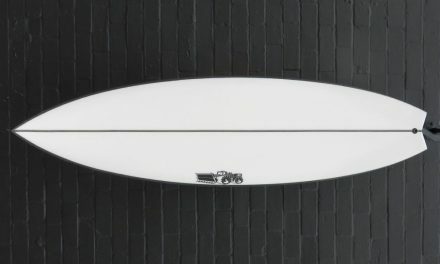 The Materials & Construction of a soft surfboard is probably the most important difference to the price of each (their overall shape & the fins they use fins may vary but shouldn’t have a significant bearing on the price). The reason it is so important is it makes a huge difference to how robust the board will be. It also is effects how heat sensitive the board is, whether you will need to repair it if damaged & ultimately how long your board will last. There are 2 main types of foam cores that are used to make Soft Surfboards – EPS (Expanded PolyStyrene) cores and Polyethylene cores. EPS is basically the same as packing foam – very light and buoyant. The downside to building soft surfboards out of EPS is that it is fairly heat sensitive & it will absorb water if exposed. So if you have an EPS core board, you have to repair it if damaged and be careful of leaving it in hot places/in direct sunlight. EPS has a high proportion of air within its beads of foam (hence it’s bouyancy). This air is not sealed in each bead so it can expand when exposed to heat or soak up/be replaced by water. Exposure to heat or water can cause the board to become water logged, bubble or blister. Many companies try and combat this by coating EPS foam in a waterproof layer & adding more structural integrity to it with reinforcing stringers – all at very varied rates of success. The bottom line is that if you damage the outer skin & expose the foam, you run risk of making your board unusable. Polyethylene is a closed cell foam that doesn’t take on water if exposed & is less susceptible to heat damage. Polyethylene cored boards usually do not require professional repair for minor damage and will not take on water if punctured. 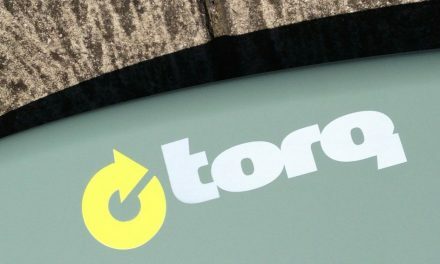 Ideally all soft boards should be made of this material, but it is more expensive so generally it is not used in boards at lower price points. So if you are about to grab a soft surfboard for yourself, your partner, your kids or anyone else – have a think about how much you are going to use this board. Make sure you know the materials that the board is made from so you know it will be suitable for your needs before you buy it. EPS boards are generally fine if you/they want to just try out surfing and see if it sticks. Polyethylene constructions are definitely worth paying more for because they will have a significantly longer surfable life than their EPS counterparts. For the reasons mentioned above, we stock the brand G Boards at Zak Surfboards. They are a Victorian owned company (we like to support the locals) & their boards are one of the best constructed around (using the best materials – Polyethylene core etc). G Boards are also shaped similarly to a real surfboard with a user friendly rocker and rolled deck/rail (so they actually ride better than most others). Their price may be a little higher than some boards around – but you definitely get what you pay for in the longevity of the board. It is not unusual to get a good 10 years of use out of them & they command fairly decent resale prices secondhand (or you can pass them along to younger siblings/relatives). They are also used by the vast majority of surf schools Australia wide.